Tecno Phantom 8 vs Camon 11 Pro - Phantom 9 coming soon? Tecno Phantom 8 vs Camon 11 Pro – Phantom 9 coming soon? Tecno Phantom 8 vs Camon 11 Pro – Both smartphones possess amazing capabilities. However, we will take a good look at some of their features and specifications. The Tecno Phantom 8 arrived as a step-up from the Phantom 6 and Phantom 6 plus while the Camon 11 Pro is an upgraded twin to the Camon 11. 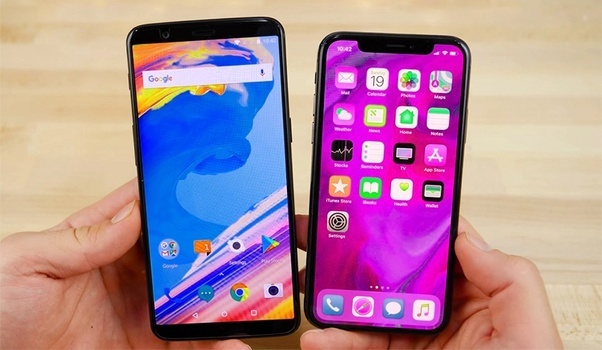 These lovely smartphones possess amazing similarities beginning from its design and so we seek to explore each of them while highlighting their differences, whereby picking the right smartphone for you. The Tecno Phantom 8 embodies a diamond fire design just like the Camon 11 Pro. Both smart and sleek phones but the Camon 11 Pro has thinner bezels than the Phantom 8. However, the Tecno Camon 11 Pro is quite larger than the Tecno Phantom 8 at 6.2 inches whereas the Tecno Phantom 8 is a 5.7-inch smart device. However, they differ in terms of resolution as the Camon 11 Pro poses a 750 X 1500 pixel, 19:9 Aspect ratio. The Tecno Phantom 8, on the other hand, features a 1920 X 1080 pixels and aspect ratio of 16: 9, therefore, offering more resolution for your viewing pleasure. The Tecno Phantom 8 also has a better pixel density at 386PPI whereas the Camon 11 Pro possess 268PPI. When it comes to the camera, the Camon 11 Pro offers a much higher dual rear camera set with its 16MP + 5MP rear camera set up which is further enhanced by its Artificial intelligence features. The Camon 11 pro also comes with Quad LED flash for its rear end which is superb for low lighting pictures. However, the Phantom 8 only offers a 12MP + 13MP rear camera and a single LED flash. In the same vein, the Camon 11 Pro features a better selfie camera as it boasts of a 24MP selfie camera set up which has its own LED flash. The Phantom 8 on the other hand as a 20MP front camera. Both smartphones have internal storages of 64GB, however, the Phantom 8 offers more external memory support as you can expand it up to 2TB wheres the Camon 11 Pro gives you only 256 Expandable memory support. Both phones, however, come with 6GB RAM. In terms of hardware, the Phantom 8 is a bit faster with its chip, the Mediatek Helio 925 and an octa-core processor which runs at 2.6GHz. It also has GPU that clocks 900 MHz; as a result, an upgrade of the ARM Mali-T880 MP2. However, the Camon 11 Pro offers a more recent chipset with the latest Mediatek Helio P22, however, it runs slower at 650MHz due to its IMG PowerVR GE8320 GPU. In terms of Operating system, the Camon 11 Pro beats the Phantom 8 as it runs on the top-notch Android Oreo with the HiOS 4.1 skin. Whereas the Phantom 8 runs on the outdated version of the Android 7.0 Nougat based on the HiOS 2.1. Combined together, the Camon 11 Pro will perform much better and manage navigation between apps. Both devices offer 4G LTE connectivity as well as the Bluetooth v4.2, USB ports, Wi-Fi and a 3.5 mm audio jack. However, in terms of SIM support, the Phantom 8 can work on either a Nano or Micro Sim whereas the Camon 11 Pro works only with a Nano SIM. In terms of Battery capacity, the Phantom 8 offers a meagre battery capacity of 3500mAh while the Camon 11 Pro gives you 3750mAh. Both smart devices are available in black and blue colour variants. However, you can also get the Phantom 8 in Champagne colour. In addition, the Phantom 8 costs between 110,000 – 117,000 naira while the Camon 11 Pro costs less at 76,000. The Phantom 8 is obviously a lot expensive than the Camon 11 Pro. However, the Camon 11 Pro features a newer, sleeker design, the higher aspect ratio of 19:9, slightly better camera and better battery performance. It also runs on a higher O.S. Many might go for this variant. However, the Phantom 8 offers a more sturdy and reliable design as well as a better chip capacity. What’s in store: The Phantom 9? Although there are no official confirmations up to this moment about the release of the Tecno Phantom 9, we can, of course, say it will be a lovelier variant. Taking a cue from the Camon 11 Pro, it is expected that the Phantom 9, have thinner bezels as well as an increased screen size. It is our speculations that this can be the same size as the Camon 11 Pro. We also speculate that the Tecno Brand is joining the in-display fingerprint scanner trend. The Screen to body ratio is expected to reach the 80% mark as revealed by a source. In terms of hardware, we expect a more prominent chipset quite better than the Camon 11 Pro but with incredibly more speed as well. We are not quite sure about the RAM Capacity, but a bigger RAM would be quite pleasant. However, in terms of Internal Storage, we expect up to 128GB which can still support expandable memory up to 2TB like the Phantom 8. There have been many rumours heralding the release of the Phantom 9, this year. Although it seems highly improbable as the year is drawing to an end, it is expected that by the first segment of 2019, we will have seen the release of the Tecno Phantom 9. Tambo Mobile in Nigeria – Other Mobile Brands need to brace for impact? TO PARTAKE IN THE ONGOING DANGOTE CEMENT AND RICE MEGA DASH END OF YEAR PROMO. CALL THE MARKETING MANAGER (SIR JUBRIL ABUBAKAR) 0N O7OI66O7O6O.